Around the world, there are signs that the traditional categories of civil and common law may be collapsing in the wake of procedural reform spurred by a new range of concerns and aspirations for procedure. In the United Kingdom, the reviews being conducted 10 years after the Woolf Reforms and in Canada, civil procedure rules in British Columbia, Ontario, and the Federal Court are all undergoing major reforms. Reforms in Europe and the United States are also challenging the traditional categories. Will the age-old categories of common law and civil law continue to be relevant? What new categories have emerged? How do changes affect the roles of parties, judges, counsel, and witnesses? What procedural developments have proven to be effective - regardless of categories? How will disputes be resolved in the future? 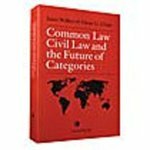 Common Law, Civil Law and the Future of Categories presents the first comprehensive and structured study of the divide between civil and common law. The essays in this collection were originally presented at the 2009 International Association of Procedural Law conference in Toronto. Each essay tackles a topic significant for litigators and other procedural lawyers in a bijural country, underscoring the important impact this has on Canadian law. Walker, Janet, and Oscar G. Chase. Common Law, Civil Law and the Future of Categories. Markham, ON: LexisNexis Canada, 2010. Print. Walker, Janet and Chase, Oscar G., "Common Law, Civil Law and the Future of Categories" (2010). Books. 127.